Simple and delicious, these Snow White Inspired Poison Apple Cupcakes make a great dessert for a party or movie night! Surprise someone you love this Valentine’s Day with these Surprise Heart Cupcakes. One bite, reveals a red velvet heart shape in the center of each of cupcake. Last week I spent some time in my kitchen organizing the endless drawers filled with cookie cutters, baking supplies and all my other cooking gadgets. I was actually looking for a Mickey Mouse cookie cutter and when I couldn’t find it decided it was time to get organized. In the process I found the cute mini heart shaped cookie cutters that I bought for this recipe last year. That’s right. Last year. I had planned to make these for a Valentine’s Day dessert to go along with our heart shaped pizzas but when couldn’t find the cookie cutters I had just bought, I gave up. As soon as I found them, I grabbed some cake mix from the pantry to finally make and share them here. Better late than never right? These Surprise Heart Cupcakes were the perfect Valentine’s Day treat. When I think of Christmas desserts the first thing that comes to my mind is candy canes. I can remember how excited I was when we went to visit Santa as a little girl and I got that first candy cane of the season. There were a few times I was so excited I held onto it for days before I actually opened it but when I finally did, that peppermint goodness made my little belly so happy. That’s where I think my fondness of all things peppermint comes from. Remembering moments like that make eating a peppermint candy cane all the more special for me now. My love for peppermint goes beyond just the traditional candy cane and to me there’s no better time than during the holidays to bake up all kinds of goodies with full of peppermint flavor. 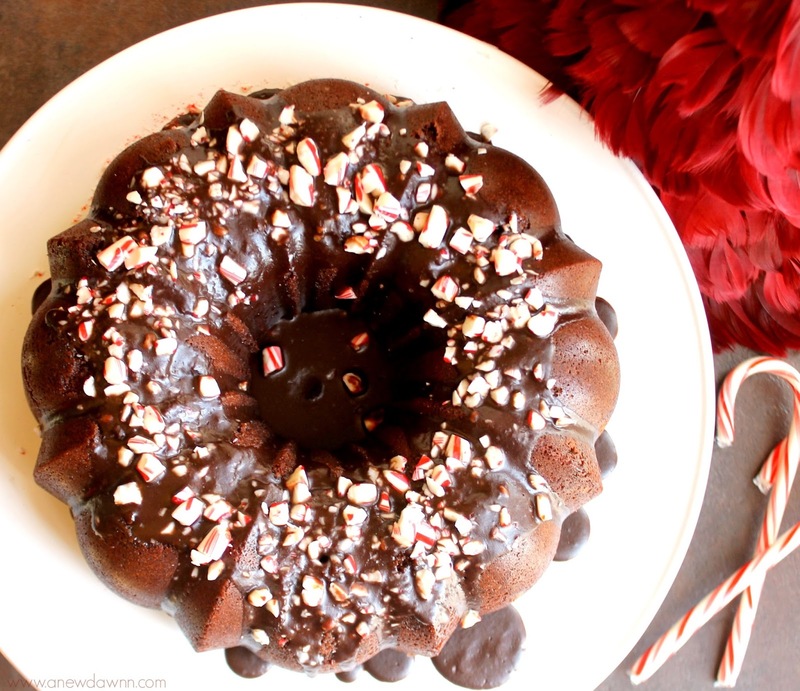 This Chocolate Peppermint Bundt Cake is one of my all time favorite recipes and it’s just doesn’t feel like the holidays until I bake it and have that first delicious bite. 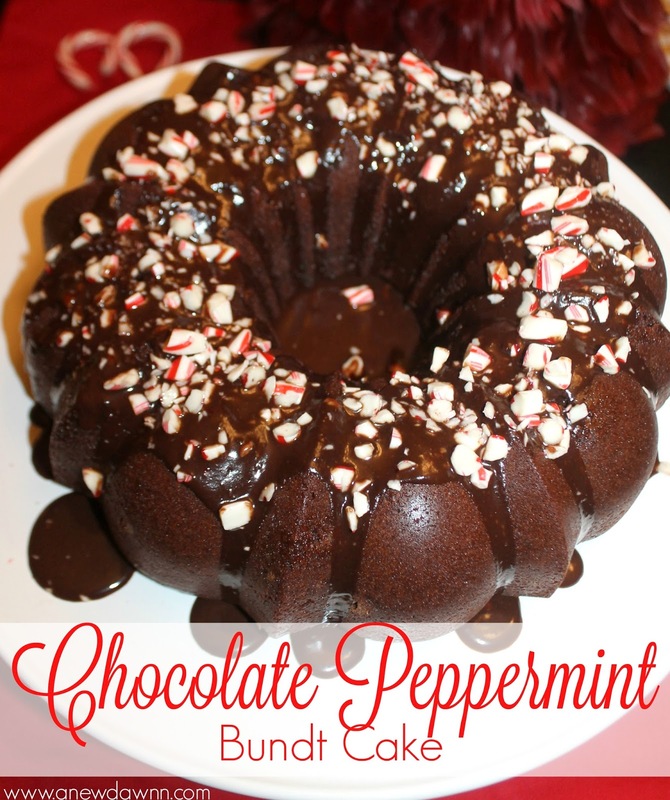 Not only do I love this recipe for all of the peppermint flavor but the chocolatey goodness too. 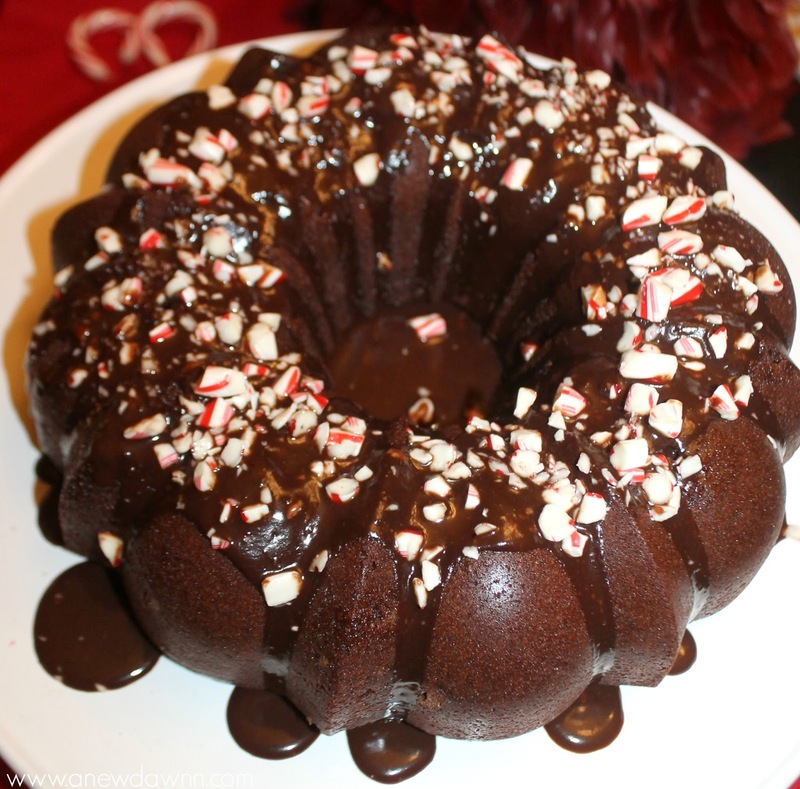 From the rich chocolate cake to the chocolate ganache with a hint of peppermint. It’s oh so good and a staple on my holiday dessert table. 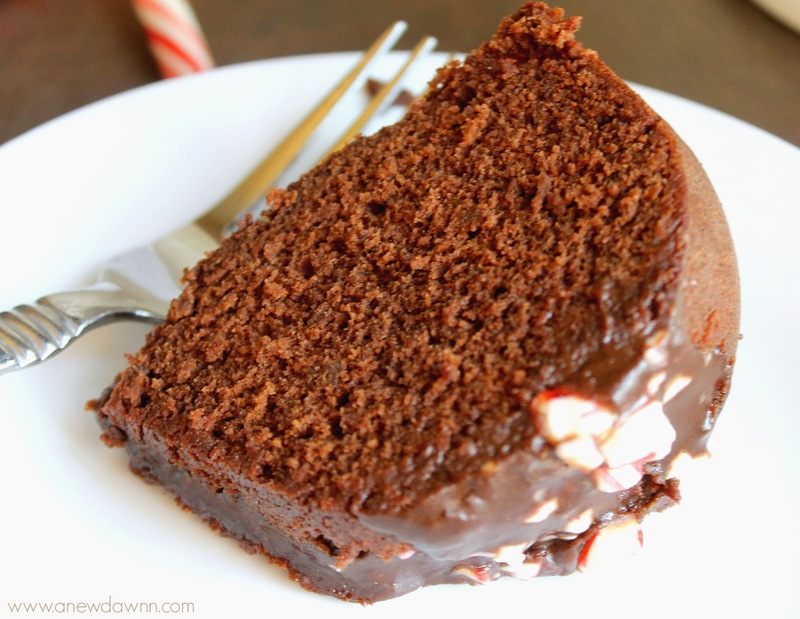 You can totally skip over the cake portion of the recipe and go with a box variety but honestly it doesn’t take but a few minutes more to make it from scratch and one bite of this chocolate beauty and you’ll be glad you did. It’s that good. If you do go with a box mix (trust me I’ve been there and do it when I’m crunched on time) you can still top it off with the peppermint ganache and candy canes for the same pretty look but for this recipe, I really recommend going with the homemade. I even made some mini versions of the cake in my little silicone bundt pans for the kids. They’re about the same size as a slice of the cake but served in a cute little mini version. I like to serve these to the kids as their after dinner treat. Whatever type of pan you use, you want to make sure that you grease your pan really well. This will prevent the cake from sticking. When I make my bundt cakes I want them to look like their pretty little selves and not have pieces get stuck behind so I make sure to use Crisco 100% Canola Oil spray to coat my pans. So I always make sure I pick some up at Giant Food Stores when I shop. Ok so enough talk, let’s get on to the recipe! 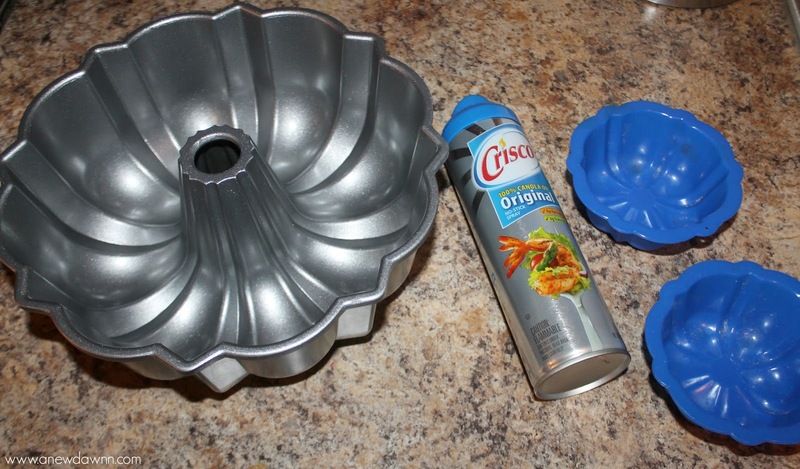 Step 1: Preheat over to 350º and spray your bundt pan with the Crisco 100% Canola Oil Spray. 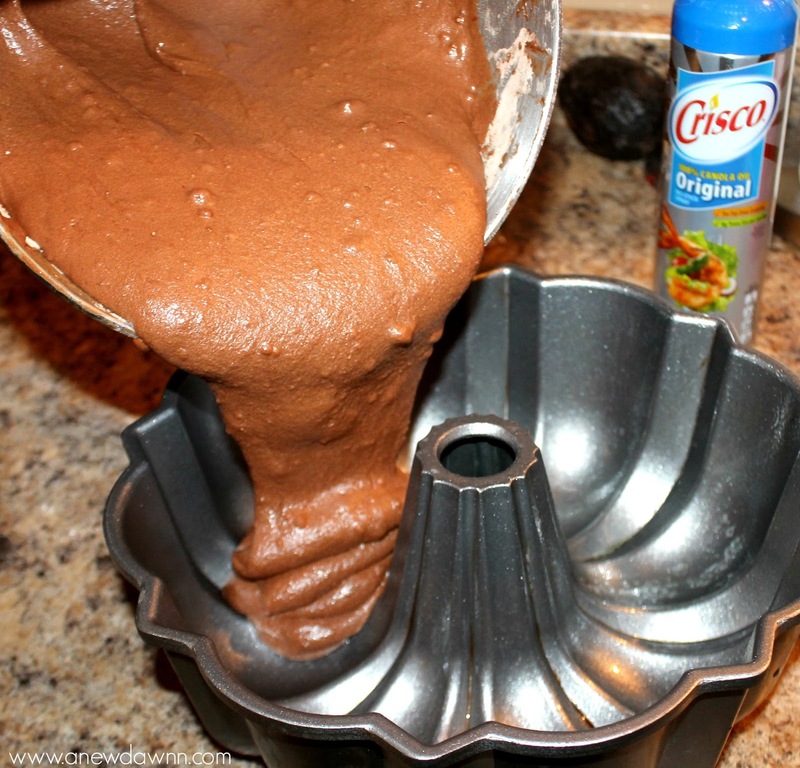 This will ensure nothing sticks to the pan your cake bundt cake comes out looking perfect. Step 4: Add eggs to the butter mixture one at a time making sure each is incorporated into the mix. Step 5: Add in milk and vanilla to the butter and eggs. Step 6: Slowly add in the flour, cocoa and baking powder until it’s all incorporated. 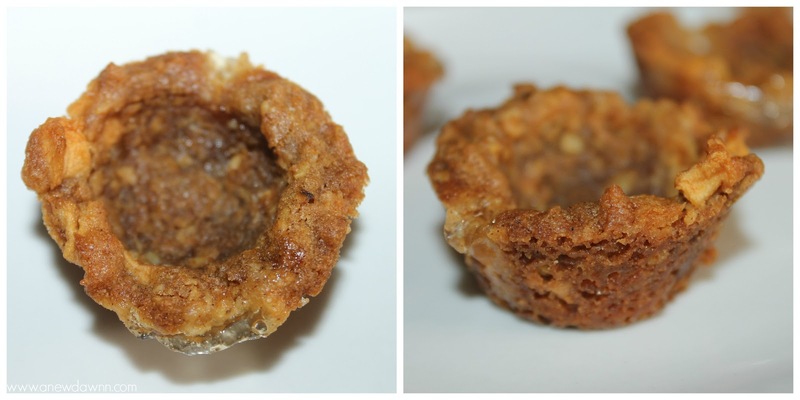 Step 8: Bake for about 50-55 minutes or until a toothpick inserted in the center comes out clean. Remove from oven and let cool. 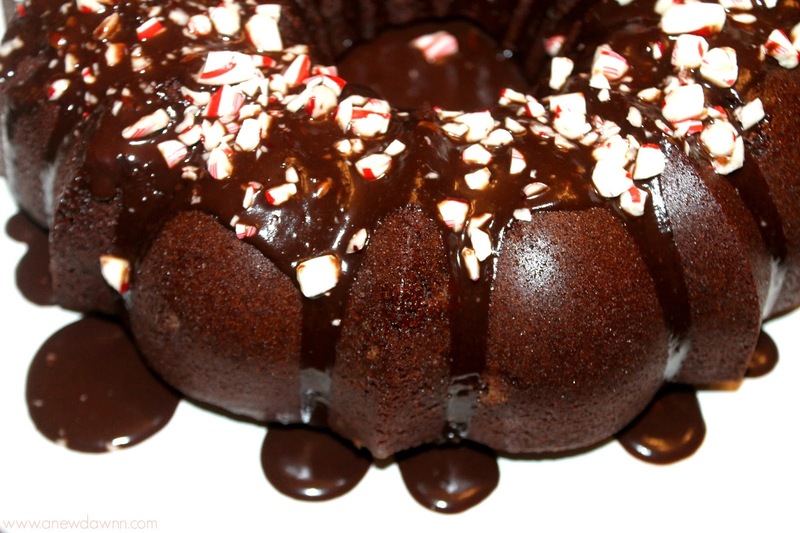 While the cake is cooling, you can prepare your peppermint ganache. In a small bowl mix together 1/4 cup of chocolate chips (I used mini to they would melt easier) and 2 tablespoons of butter. Heat 1/4 cup of milk on the stove until boiling. Immediately pour over the butter and chocolate chips and let set a minute. Then, stir in 1 teaspoon of peppermint extract and mix everything together. Now here’s where it gets hard. Try your best to resist sticking a spoon in the ganache to “test” it. You might not be able to control yourself it’s so good. The ganache will be runny at first but the longer you let the ganache sit, the more it will thicken up. If you’re in a hurry you can always stick it in the fridge for a few minutes to speed up the process. While you’re waiting for the ganache to thicken, crush about 6 candy canes for your topping. The easiest way to do this is put them in a plastic zipper bag and use a hammer or rolling pin to crush them up a bit. This is a great job for the kids. My son always calls dibs on that part. 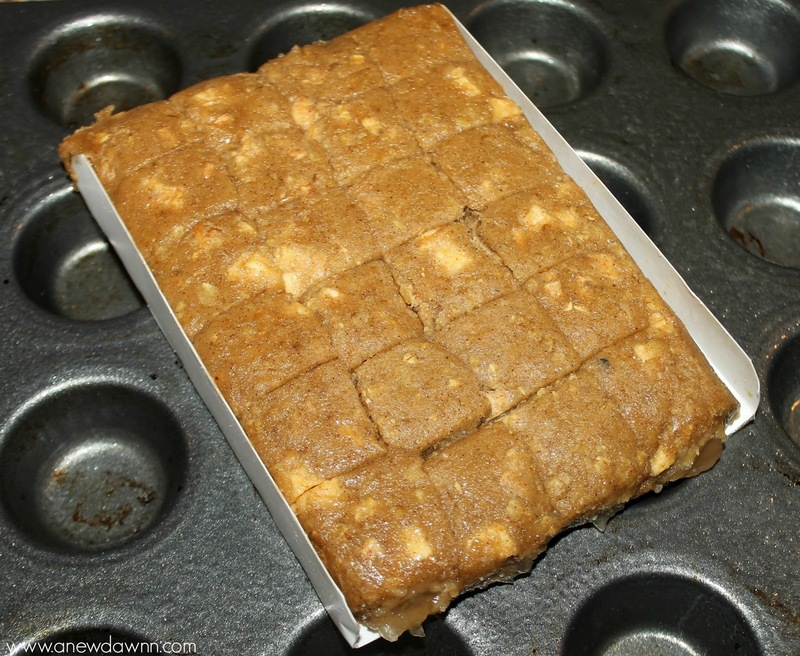 Once your cake is cooled, remove it from the pan and place on your plate or cake stand. 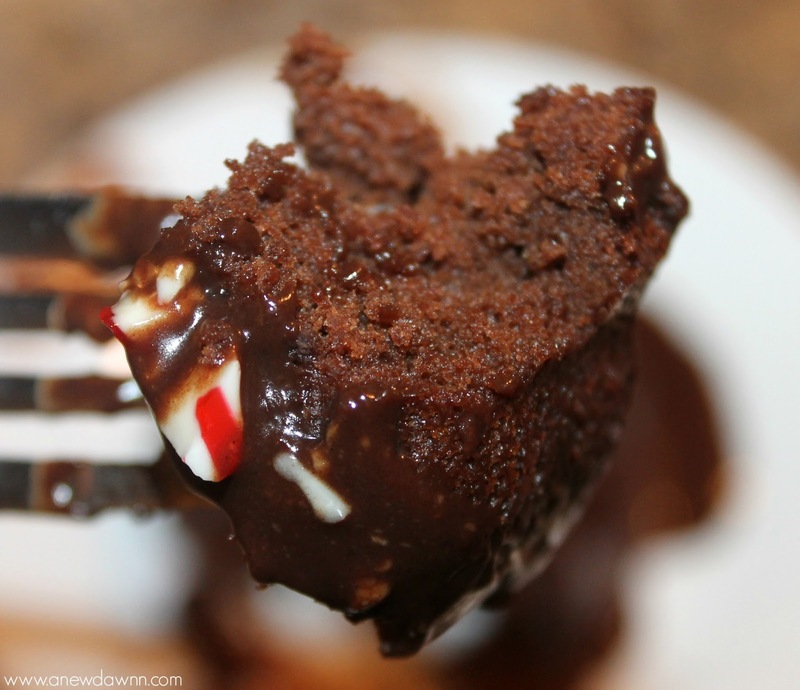 Pour the thickened ganache over top the cake and immediately sprinkle with the candy cane pieces. All that’s left it to figure out a way to control yourself from eating it all before your guests arrive. For more holiday recipes and coupons, be sure to visit www.thedessertdebate.com and follow them on Facebook & Pinterest for more delicious ideas. Do you have a favorite holiday recipe? I’d love to hear about it! Since we bought our house six years ago, Thanksgiving dinner has been hosted at our house. One of the main reasons I fell in love with our house was the giant kitchen. As soon as I stepped inside, I envisioned big family meals and holiday gatherings in the space. I was right. It’s one of the most used rooms of the house. When company is over, it’s where we all gather together to enjoy a nice meal or yummy dessert. Speaking of dessert, with Thanksgiving just a few weeks away, I’ve been busy trying out new recipes to serve this year. 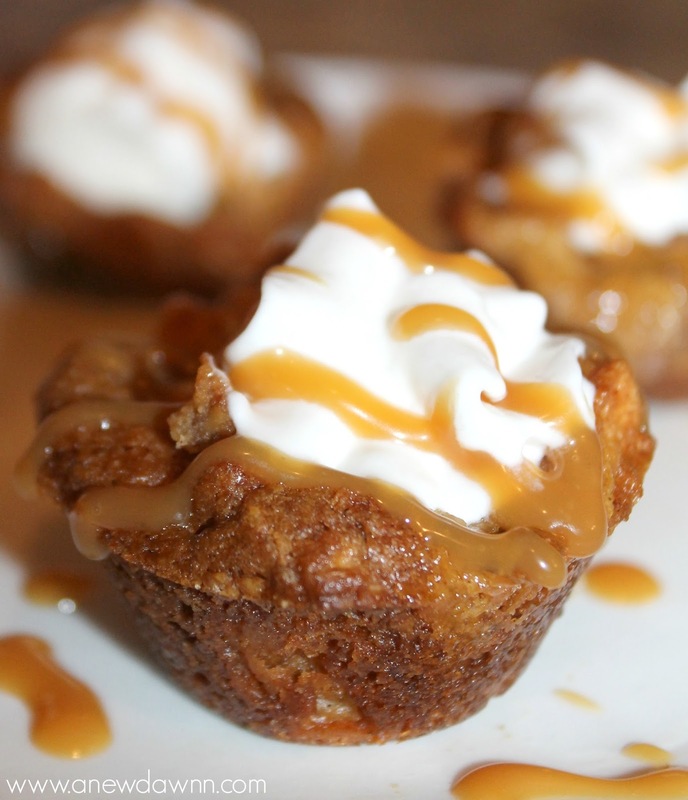 One recipe that is definitely making the cut are these Apple Pie Cookie Cups. A little bit cookie, a little bit apple pie but all the way delicious! I love baking and not just around the holidays. Desserts are my thing and I’m always trying out new recipes and treats to serve at parties. This time of year though, cookies are on my brain. Between planning our annual kids cookie bake and baking for a cookie exchange, cookies are on my mind. 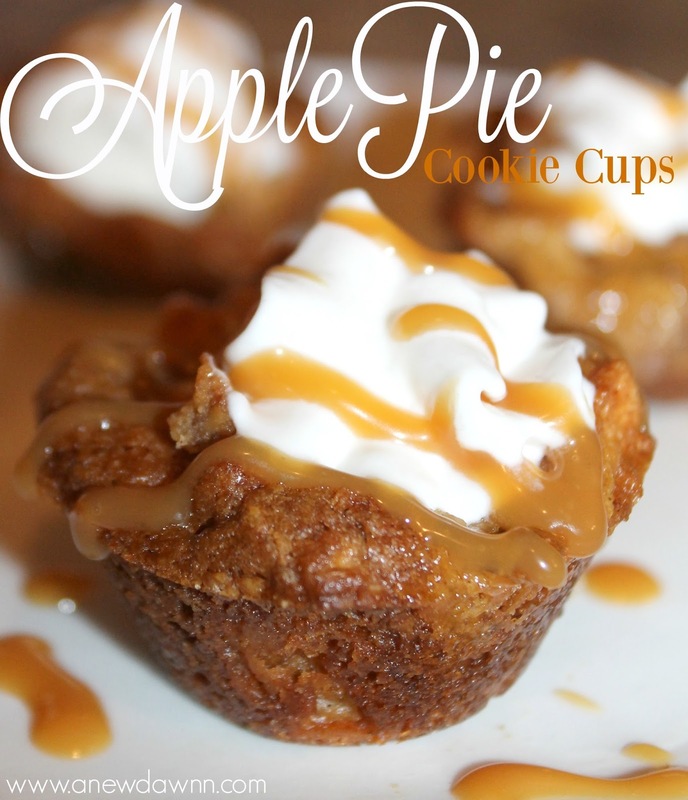 These Apple Pie Cookie Cups combine everything I love about a warm, delicious slice of apple pie and the crunchy goodness of a cookie. Plus, they’re easy to make! You know I love easy recipes. 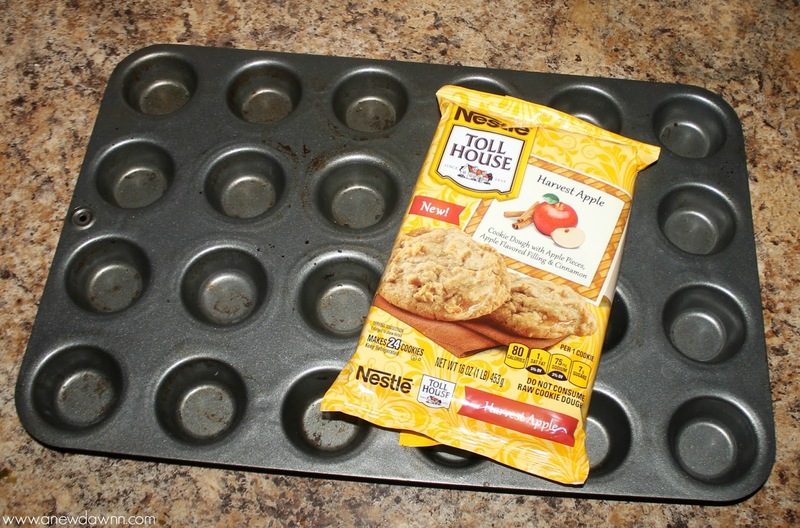 The cookie cups are made using a mini cupcake pan and NESTLE® TOLL HOUSE Harvest Apple Refrigerated Cookie Dough I found in Walmart. 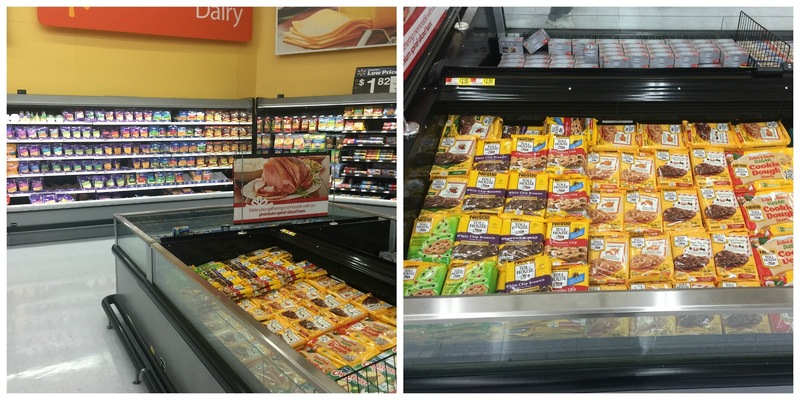 I was actually picking up some chocolate chip cookie dough and a can of Libby® 100% Pure Pumpkin and NESTLE® Carnation Evaporated Milk for mini pumpkin pies when I stumbled upon these yummy little guys. 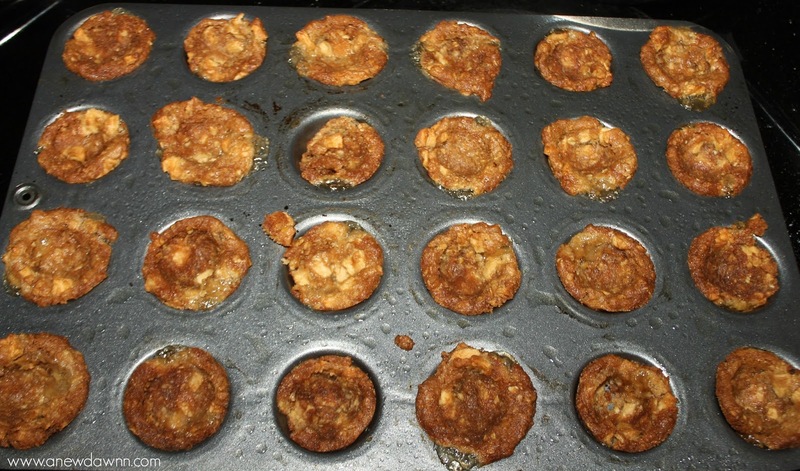 The cookie dough combines apple pieces, apple-flavored filling and cinnamon with a sweet cookie. As soon as I saw them, I knew exactly what I was making. I could just taste the yummy vanilla ice cream mixing with the gooey apple pieces in the cookie dough. My mouth was watering in the store so I knew they’d be good! 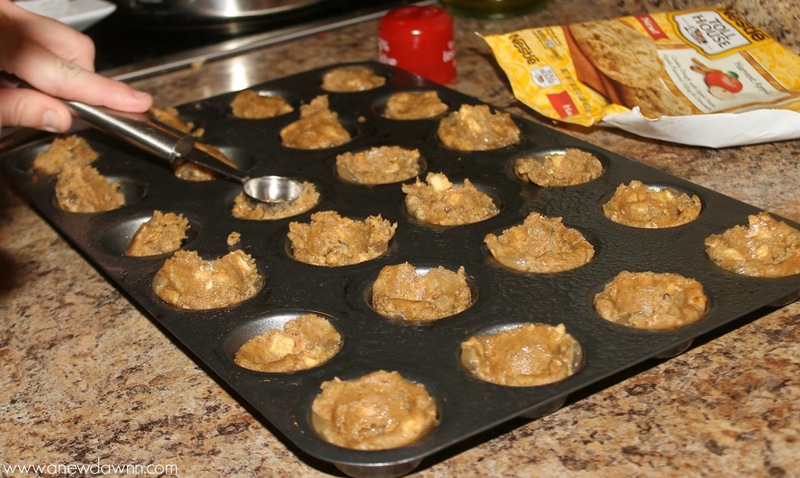 To make the cookie cups, simply place one cookie piece into a well greased mini cupcake pan. I sprayed mine down with a non-stick baking spray to make for easy removal. Using a melon baller (or your fingers if you don’t have a melon baller handy) press down on the cookie dough so it spreads up the sides forming a cup. Be sure to spray the melon baller with some non-stick cooking spray otherwise it will stick to the dough. 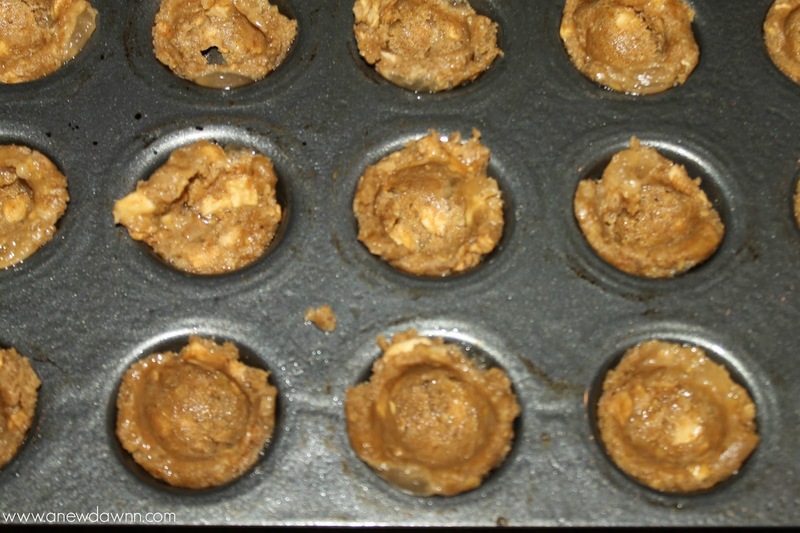 The cookies take about 15 minutes to bake and the cookie dough spreads during cooking, so after about ten minutes remove the pan from the oven and using the back of the melon baller again, press the center of each cookie to re-form the cup. Place back in the oven for another five minutes until done. 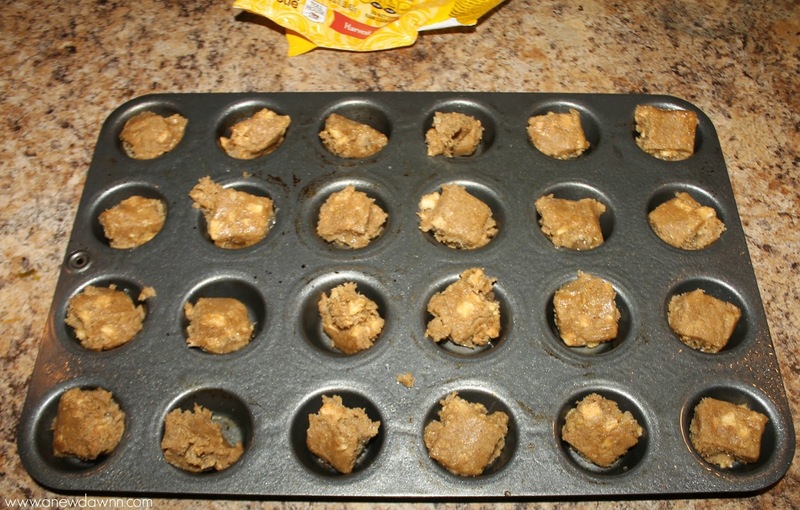 Remove and allow cookies to cool completely before trying to remove from the pan or they will crumble. Once cookies are cool remove gently and place on serving tray or plate. 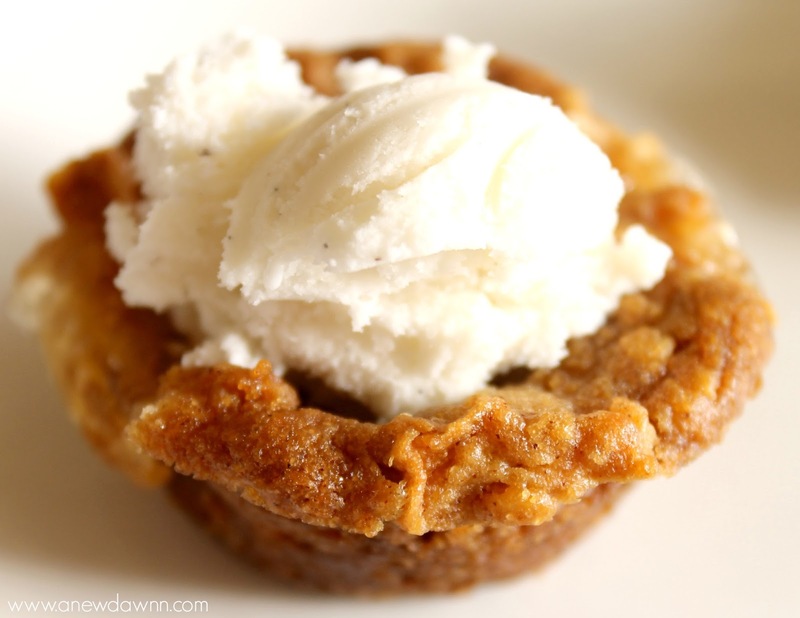 Using the melon baller as a mini ice cream scoop, scoop a little vanilla ice cream into the cookie cup. 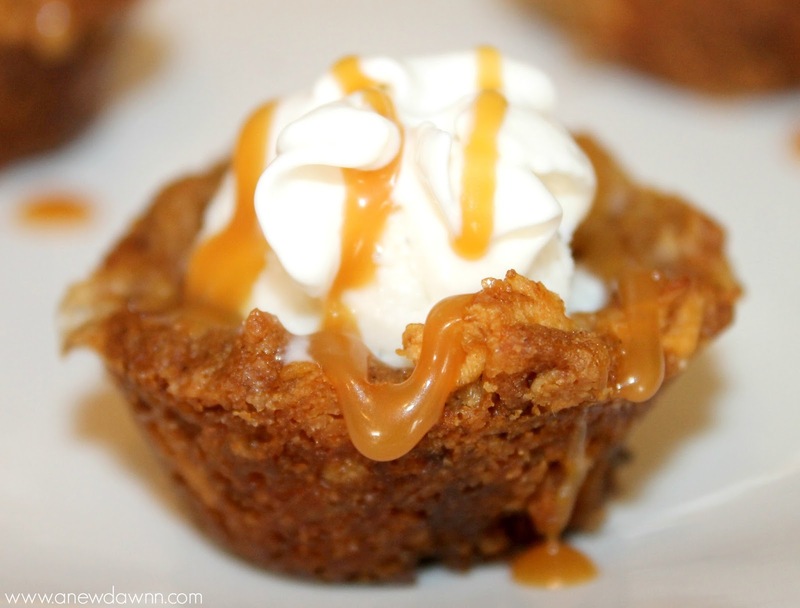 Top with a dollop of whipped cream and a drizzle of caramel sauce. All I can say is YUM! I made these last weekend and had some friends over to try them out and they were gone in seconds! If you plan on making these this Thanksgiving be sure to pick up plenty of cookie dough found in the refrigerated section in Walmart! Your guests will thank you! Be sure to Pin the recipe for later! 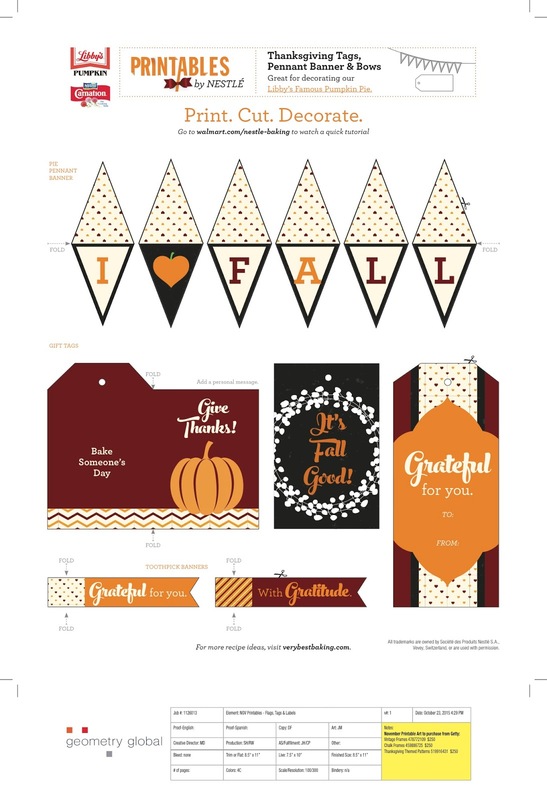 Be sure to check out more delicious holiday recipes on the Flavorful Moments Pinterest board and print out this holiday printable for when you do your own holiday baking! I’d love to hear about your favorite baking recipe!